This has been the news that many have been waiting for, details of the hotly anticipated Alfa Romeo Stelvio Quadrifoglio. 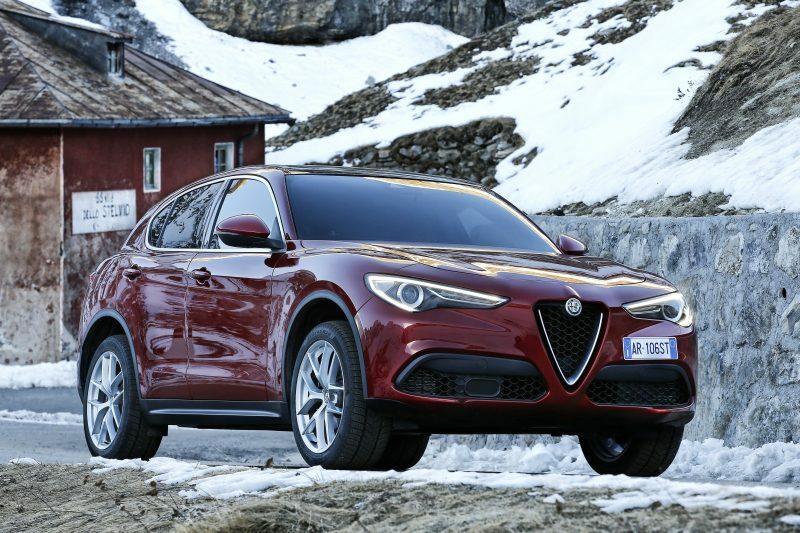 Well wait no longer, as the Italian brand has spilled the beans on its new spicy SUV. Very. Packing the same 2.9 litre Bi-Turbo V6 petrol engine as the Giulia Quadrifoglio, what we have here is an SUV that offers a healthy 503bhp with 600Nm of torque. Mated to an 8-speed automatic and all-wheel drive, it will hit 62mph just 3.8 seconds and will continue to a sportscar-chasing top speed of 176mph. This makes it the fastest in its class on the road and also at the Nurburgring, where it recorded a time of 7:51.7. The Stelvio represents the first time that the 2.9 litre V6 has been mated with Alfa’s Q4 all-wheel drive system, so there should be plenty of grip to go with the grunt. Just in case that doesn’t happen to be enough, there’s also torque vectoring to improve traction under hard cornering. Like other models from the AR stable it offers the ‘DNA’ system, allowing driver a choice different driving modes. 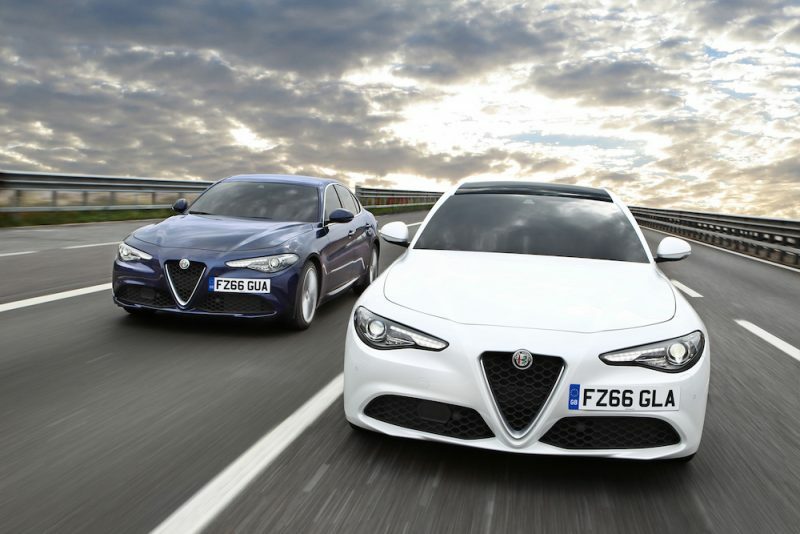 Alfa’s Chassis Domain Control (CDC) is also in place to make the drive as dynamic as possible. 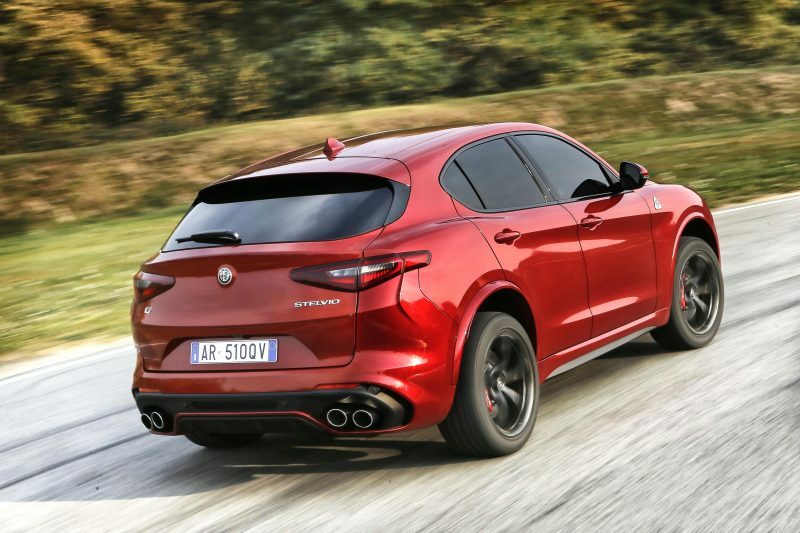 It’s all jolly good making the Alfa Romeo Stelvio Quadrifoglio go like the preverbial of a shovel, but bearing in mind it’s a big lump of a car it’ll need some decent stopping power. Thankfully the Italians have thought of this, so the Stelvio has the same Integrated Braking System as used in the Giulia. Using an innovative electromechanical system that combines stability control with a traditional servo brake to deliver instantaneous brake response and shorter stopping distances. Carbon ceramic brakes are also available as an option for those looking for even more stopping power. 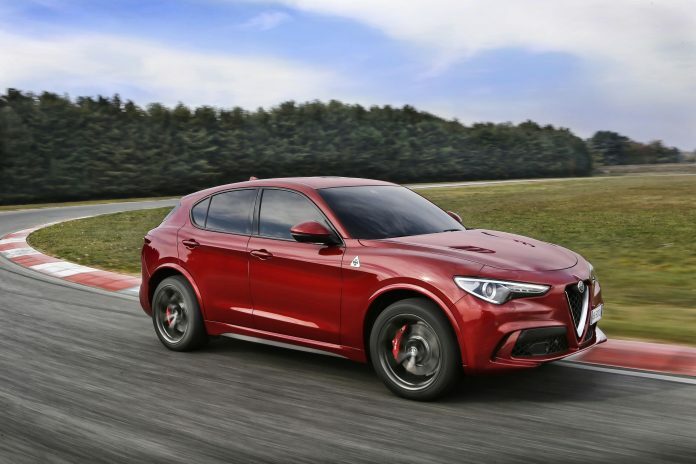 On top of this, the Stelvio Quadrifoglio offers adaptive damping, 50/50 weight distribution and the most direct steering in its class, so Alfa Romeo has clearly not made this simply to make up the numbers. It’s one of the prettiest, having taken the best styling cues form the achingly beautiful Giulia. The new Alfa Romeo Stelvio Quadrifoglio will hit showrooms as of summer 2018 with prices and specification to be revealed closer to the release date.